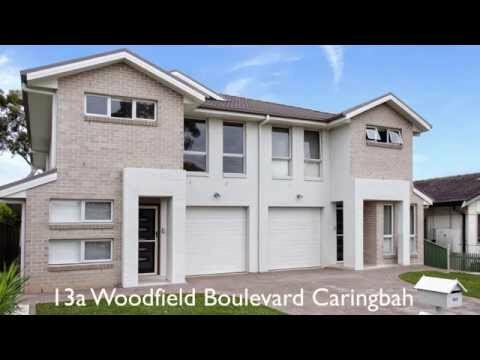 Located in Caringbah North, this brand new 2 storey duplex home is ready to move in and enjoy. Designed with entertaining in mind, the home offers seamless indoor / outdoor living with a huge undercover patio area flowing directly out to the large grassed level backyard. Emphasizing an airy contemporary open-plan design, the home features modern fittings and fixtures throughout - exuding sophistication with soft natural tones. Home security alarm, ducted reverse cycle air conditioning throughout, gas cooking, gas hot water and gas heating bayonets, lock up garage with automatic roller door, dedicated storage room in garage, utility room/linen storage, tiled living areas, carpeted bedrooms, laundry with stone bench-tops and side access to backyard. With only 2 in the complex, this stunning duplex home is perfect for couples, young families, downsizers or investors. Council:	220 per qtr approx. Water:	220 per qtr approx.